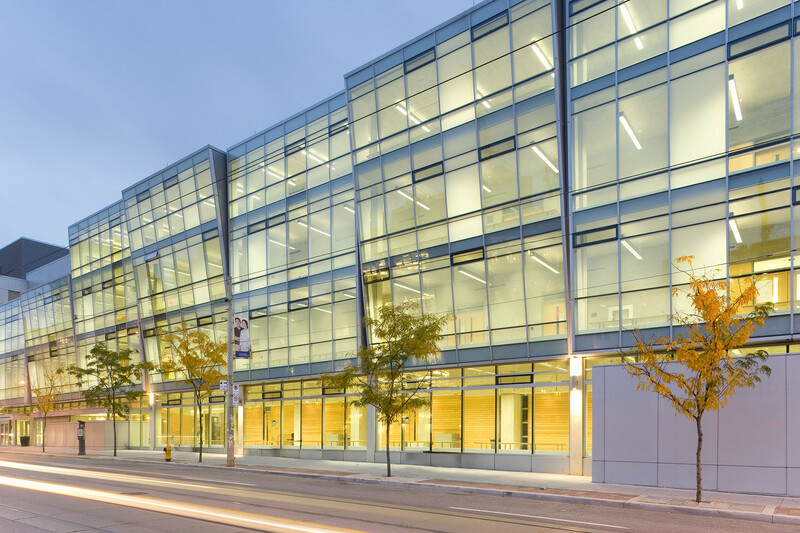 Ryerson University’s George Vari Engineering and Computing Centre serves 2,500 undergraduate and graduate students in engineering programs: aerospace engineering, computer engineering, electrical engineering and civil engineering. 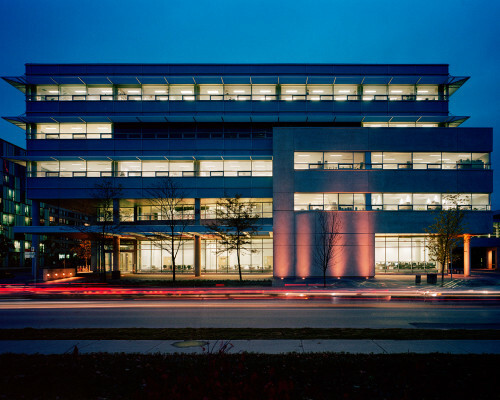 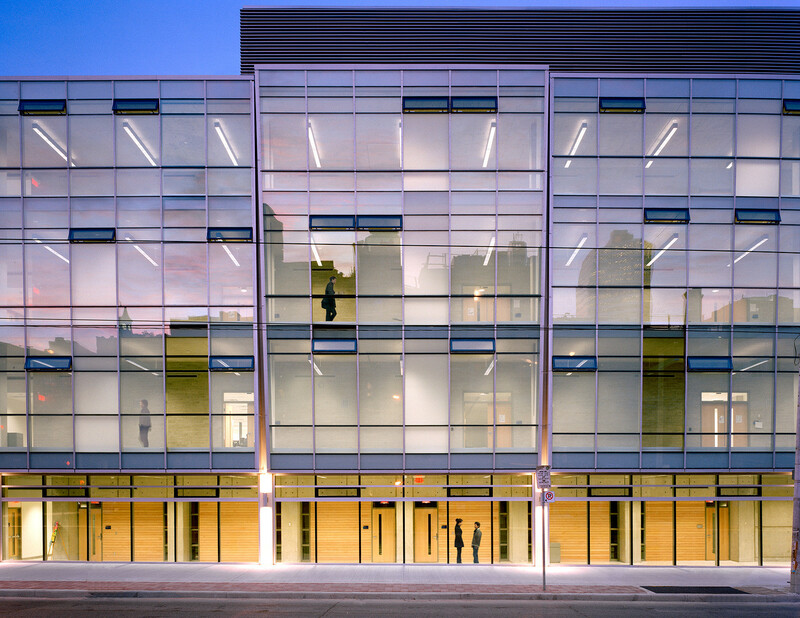 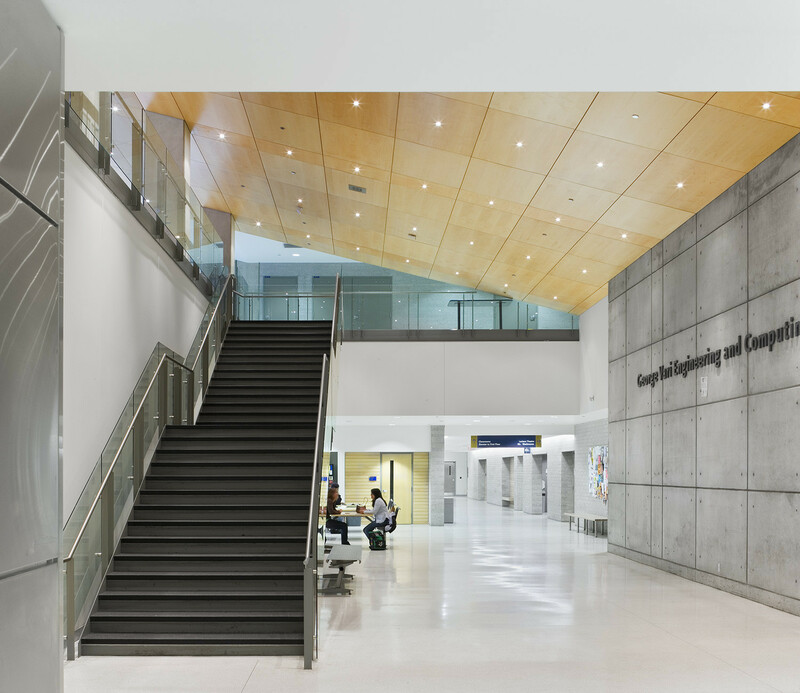 To support Ryerson’s rapidly-growing education and research mandate, the Vari Centre’s state-of-the-art specialized facilities include a hypersonic (Mach 4) wind tunnel, a 40-foot subsonic wind tunnel, robotics laboratories, sustainable energy laboratories and the Facility for Research on Aerospace Materials and Engineered Structures (FRAMES), a 5,000-square-foot laboratory for full-scale structural testing of aerospace components and materials testing at temperatures up to 1,000 degrees Celsius. 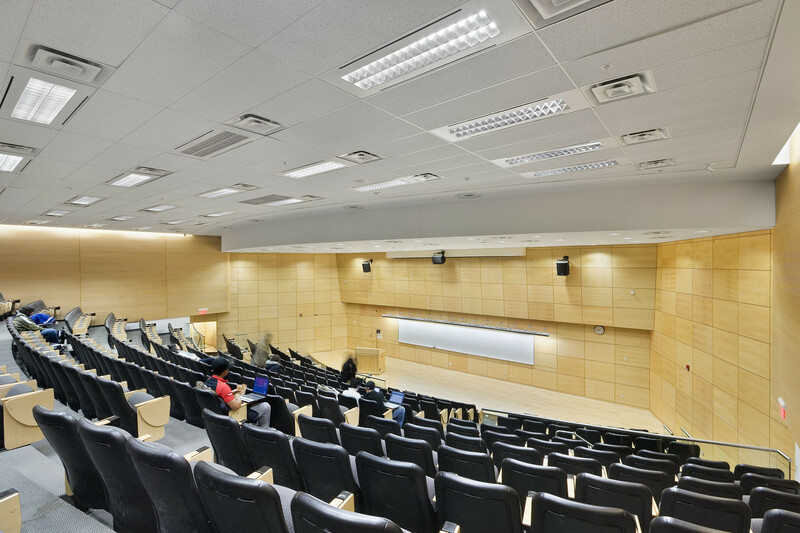 The laboratory facilities are complemented by technology-enabled classrooms, a large 380-seat lecture theatre, six smaller theatres and faculty and administrative offices. 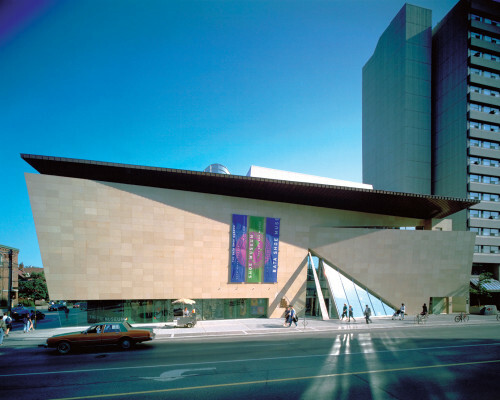 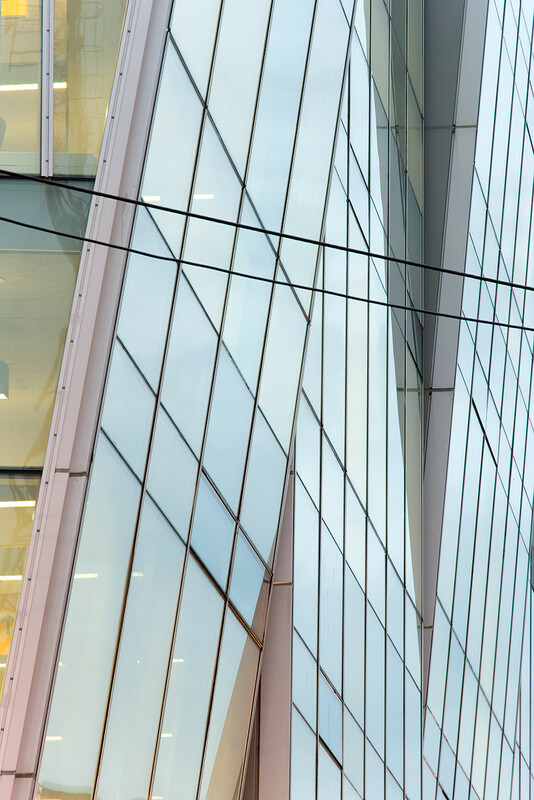 To advance Ryerson’s community-building mandate, Moriyama & Teshima wrapped the facades on busy Church Street and Gould Street in floor-to-ceiling glass, showcasing the activity inside, animating the street in all weather and expressing Ryerson’s values of accessibility, transparency and civic engagement. 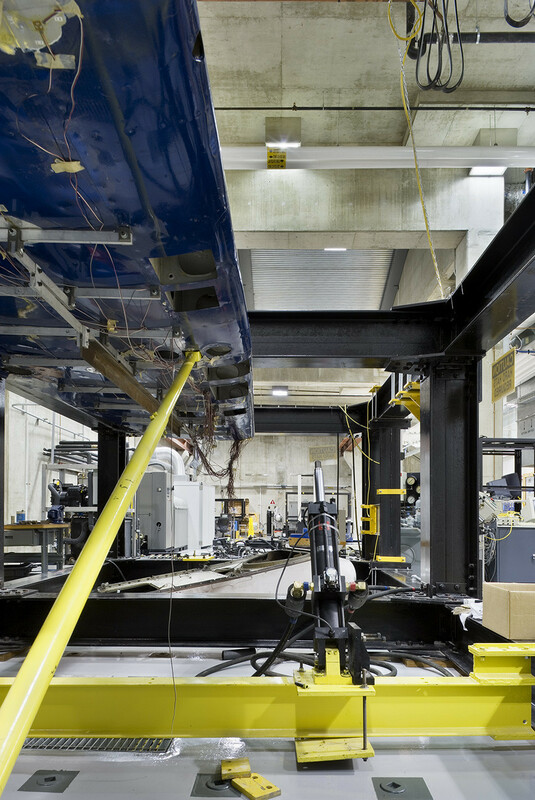 Facilities include a hypersonic (Mach 4) wind tunnel, a 40-foot subsonic wind tunnel, robotics laboratories, sustainable energy laboratories and the Facility for Research on Aerospace Materials and Engineered Structures.